Home Custom Home DesignWhat is Hurricane Home Design? What is Hurricane Home Design? In short, hurricane home design is a residence that is designed with appropriate structural design, in order to with stand very strong wind forces. At Myles Nelson McKenzie Design in South Carolina, we know that hurricanes, tornadoes, cyclones, and other storms with sturdy winds are known to cause home damage and or destruction to many homes. However, with the proper structural design as mentioned above and solid structural foundation design, the damages to homes by these forces may be significantly decreased. Custom Hurricane Home design by Myles Nelson McKenzie Design-Concrete Block Home Construction. Also while storm surge waves along coastal regions can cause additional damage to a residence. Custom Homes that are built on high ground or built with raised floor construction may keep the residence away from the surging waves. If waves can reach the building site, the building has to be elevated on metal, concrete, wood pilings or anchored to a solid rock. In our design studio in South Carolina, we develop our custom home design and renovations design projects to with-stand the strong wind forces of a hurricane as required by the local building codes. We have put together the range of processes and components that can help a building survive during sturdy winds and storm surge. 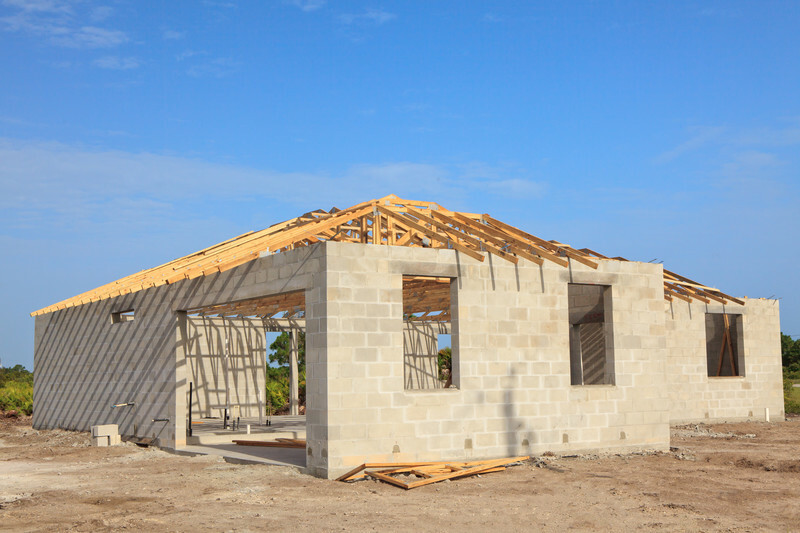 With even a good foundation, we know very well that wind acting on the roof surface of a building can cause a terrible pressure that creates a lifting force enough to lift the roof off the building. Once this occurs, the building is weakened drastically and the rest of the building will probably fail as well. To reduce this vulnerability, we design the custom home to be anchored structurally from the roof to a structural designed foundation. Though we incorporate several structural design components to anchor a roof. Typically, roof trusses are often used for most roof structures. They can be “toe nailed” into the apex of the walls. This although provides inadequate strain to withstand high winds. So, we detail out on our construction plans hurricane ties. Such as Simpson Strong-Tie hurricane rafter tie. They are nailed into the face of the wall construction and around the bases of the trusses. This provides better pressure resistance. Which is the best anchoring systems for Hurricane Home Design? At Myles Nelson McKenzie Design, our structural engineers recommend and specific Simpson Strong-Tie® hurricane ties for our custom home designs. They provide a positive connection between the truss/rafter and the wall of the structure to resist wind and seismic forces. Simpson Strong-Tie connectors, which are either straps or plates, reinforces the joints with simple, versatile solutions for a wide range of connections. They are available in many lengths, widths and thicknesses. Strong-Tie straps can be used on the wide or narrow face of lumber for light repairs or heavy-duty projects. Many straps are designed to be used back-to-back on a piece of lumber without fastener interference. 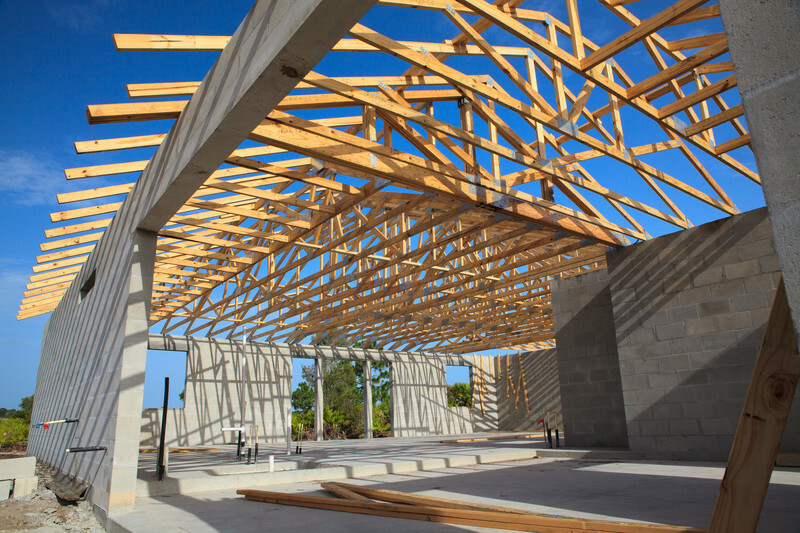 The hurricane tie series features various configurations of wind and seismic ties for trusses and rafters. Building openings such as garage doors and windows are habitually susceptible factors prone to failure. Which is created by wind pressure and blowing debris. Once failure happens, wind pressure builds up in the building resulting in the roof lifting off the building. 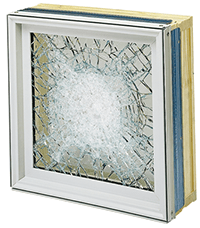 We spec-out windows with either Impact-resistant glass or glass with protective membranes. For those clients who possibly could face strong storm winds. We highly recommend the use of HurricaneShield® window and patio door systems from Pella products. HurricaneShield® window and door systems are impact-resistant units made with outstanding impact-resistant technology. These window and patio door systems have been created to with-stand wind speeds up to 184 mph. The HurricaneShield® series is designed to help maintain your home’s structural integrity. Click here to view further information on the impact-resistant door and window system from Pella. Another glass door manufacturer has a hurricane resistant door system that we highly recommend for hurricane resistant designed homes . Click here to read additional information. We know very that Earth-sheltered building is normally more defiant towards strong winds and tornadoes than a standard building. Cellars and other earth sheltered components of different homes can offer safe refuge during tornadoes. Often, we incorporate into the custom home design, a in ground, below grade, water proof storm shelter. That is either constructed of a pour-in place concrete construction or concrete block construction. Similar to Earth-Shelter style homes. Custom Hurricane Home design by Myles Nelson McKenzie Design-Steel Frame Home Construction. Residential steel framed construction is another great alternative for a custom home design! It can with-stand severe hurricane wind forces. 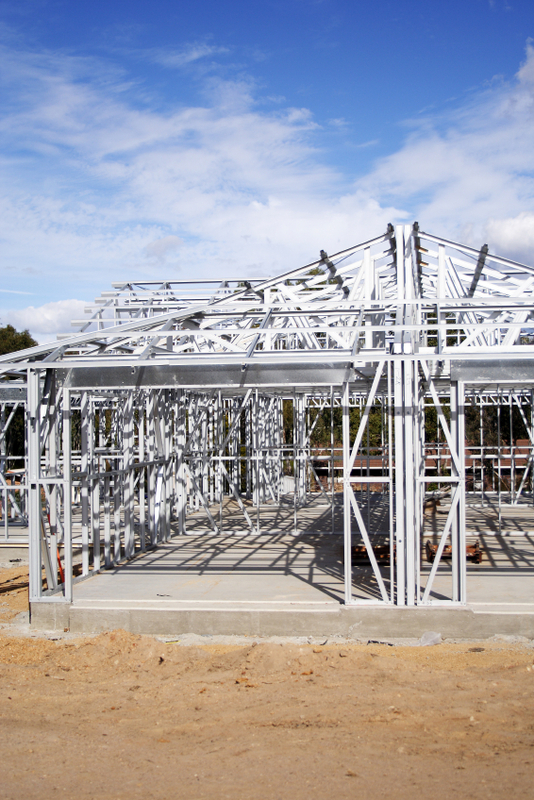 Steel framed construction also offers a variety of additional benefits to homeowner. For example, residential steel framing is more durable over the lifetime of a wood home. Residential steel framed home uses metal studs and joists that are much stronger and lightweight, compare to wood framing members. Residential steel framed homes will have walls that are completely straight. They also provide excellent protection against termites. Also because steel framing is not a combustible material, this offers fire protection and can lead to lower household insurance costs. A building with a square floor plan (or better a hexagonal or octagonal plan) with a more than one-panel roof (four or more panels) was found to have decreased wind loads. Roofs with multiple slopes such as a hip roof (4 slopes), performs better during wind forces than gable roofs (2 slopes). In terms of Gable roofs, there are normally more common because they are less expensive to build. A wind force on a roof tends to be uplift forces; this explains why roofs are frequently blown off during intense wind incident. Connecting roofs to walls matters! Strong connections as noted between the structure, its basis and connections among walls are appropriate to prevent high wind destruction. Though certain areas of a building such as the ridge of a roof, corners, and eaves are normally subjected to higher wind pressures, roof overhangs are subject to wind uplift forces that could cause a roof failure as well. Contact us today in South Carolina at Myles Nelson McKenzie Design. 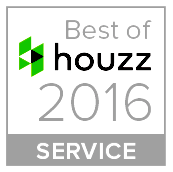 We would love to discuss together the designing of your new custom home design with hurricane home design features.